Origin: Medras Azul is extracted from the main extraction centre of Portugal, at the footsteps of Serra D´Aires e Candeeiros Natural Park. Appearance: Sedimentary limestone with blue/grey background and concentrations of dispersed darker particles and veining. Properties: Colour variations always occur to some extent, even in the same batch. Little and/or bigger veins can appear with this material. This limestone is sensitive to wet conditions and is not frost resistant. It is recommended to seal this stone to extend its longevity. 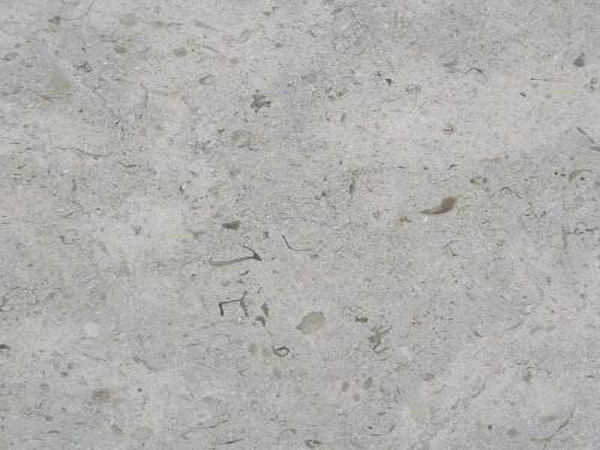 Use: Medras limestone (either Beige or Azul) is a type of natural stone known for its endurance and versatility. Due to its hardness, good wear resistance (class 3), and uniform light background,this natural stone is suitable for any use within domestic and public buildings with moderate collective traffic. It is common to find uses in both interior and exterior applications, in stonework, cladding, flooring, among many others. Finishes: Polished, honed, brushed, hush-hammered and other bespoke finishes.